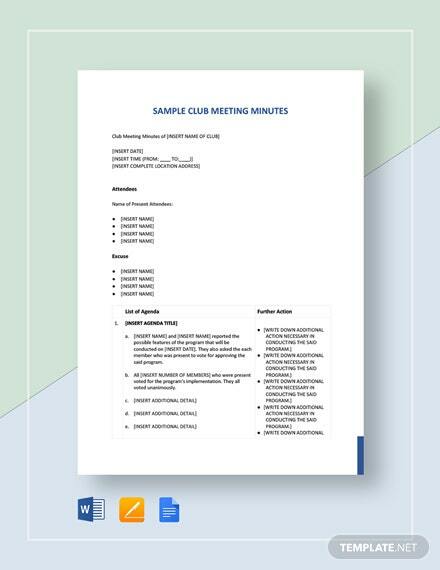 Get to make a list of items and topics to be discussed for an upcoming meeting with this sample form. 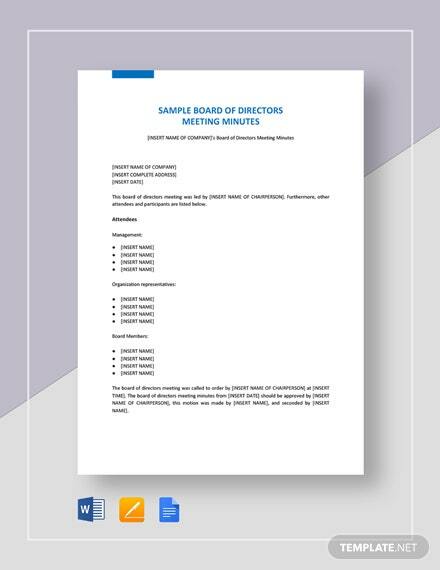 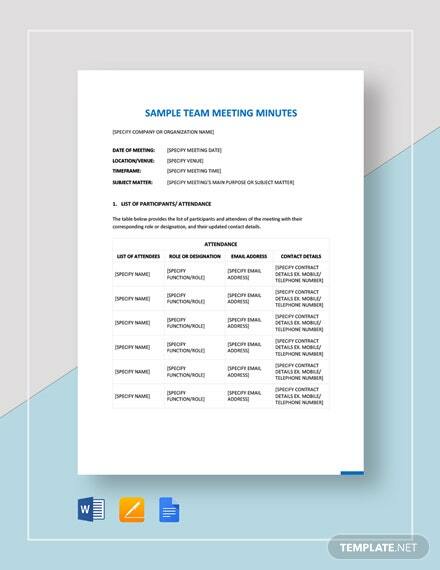 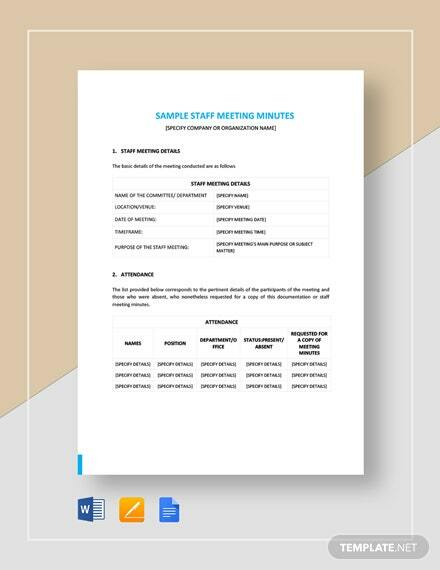 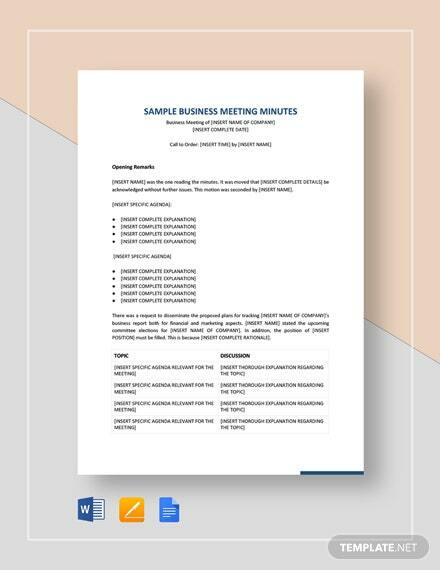 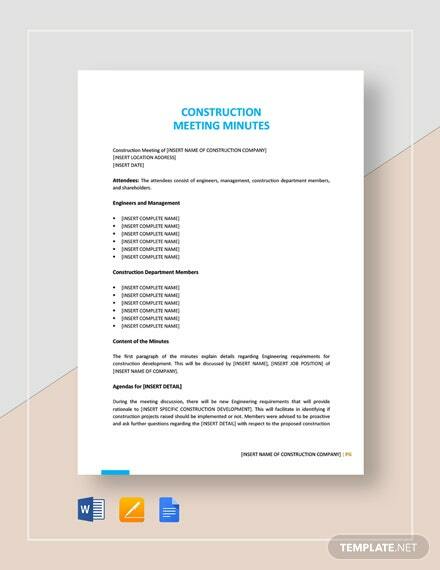 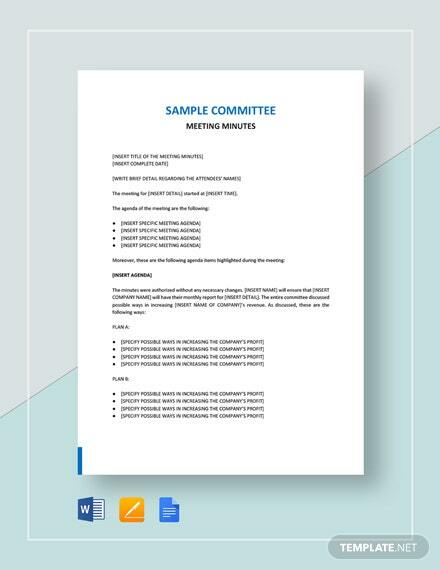 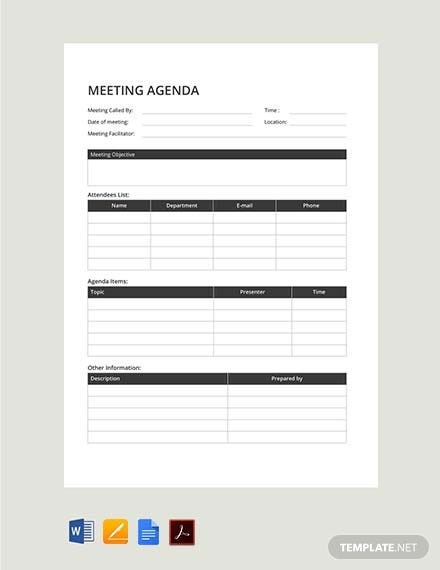 This template can help you craft a well-formatted meeting agenda. 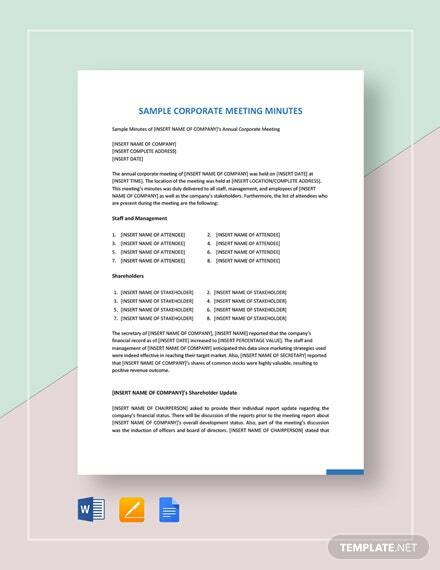 It is easy +More to edit and printable.